In this easy-to-read book for the prospective Invisalign patient, international and recognized Invisalign expert Dr. Barry Glaser reveals how the power of clear aligner technology can transform your smile. Whether a teenager or adult, "invisible", comfortable Invisalign clear aligners are the 21st century way to a winning smile. 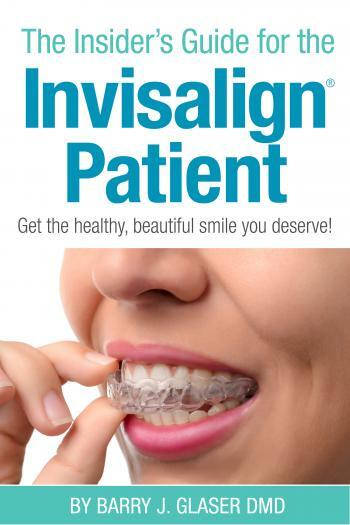 This book is ideal for orthodontists to give their patients to educate them on why Invisalign is their ideal choice. It is an excellent companion book to the best-selling Insider's Guide to Invisalign Treatment. *NOTE: We offer a customized edition of the book individualized to each orthodontist's office. Find out more by sending an email to info@3LPublishing.com or call 916-300-8012.